Laura Veirs (US) see: Samples etc. Jaci Velasquez (US) see: Samples etc. Velocette (UK) see: Samples etc. Velvet Belly (Norway) see: Samples etc. All titles: Mitch Easter's machine? 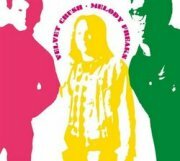 Velvet Crush coalesced from Choo Choo Train around 1990 and aside from a brief period of nonexistence in the mid-'90s, have been releasing records (ir)regularly ever since. In many ways a classic powerpop band, they have a heavier, less jangly edge than many of their genre-mates that makes them stand out from the good, if slightly identikit bands that typify the field. 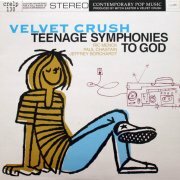 Their second release was 1994's naughtily-titled Teenage Symphonies to God (Brian Wilson's description of his music, if you don't know the reference), an excellent mixture of jangle and rock, with a smattering of country thrown in for good measure (notably on closer Keep On Lingerin'), highlights including opener Hold Me Up (good powerpop albums always open with their strongest track), Time Wraps Around You and the jammed-out Something's Gotta Give. Oh, and extra marks for the appalling pun in My Blank Pages. Mike Denneen plays Chamberlin, nicely audible for once, with strings on Why Not Your Baby, flutes and strings on Time Wraps Around You, probable strings on #10 (they could be real), some keyboard mangling (flutes?) on Weird Summer and a lovely string part opening Star Trip. 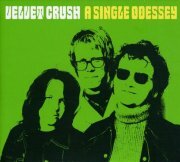 Although that seems to be it for studio albums, Velvet Crush have released two compilations containing extra Chamberlinism, the first of which is 2001's A Single Odessey (Zombies reference, of course), containing what appears to be most of their single/EP-only tracks from the preceding decade. Given that powerpop is, in many ways, a genre best heard on 7" vinyl, it's hardly surprising that the band clearly kept most of their best material for their singles, making this a killer compilation, featuring wondrous moments like the descending vocal harmony in One Thing Two Believe and the main riff in Circling The Sun, although the handful of countryish tracks let the side down slightly. The legendary Mitch Easter (R.E.M., The Orange Humble Band) plays Chamberlin, with a brief flute part on Be Someone Tonight and echoed strings on the instrumental Leisure 40, although there's nothing obvious on The Thing That You Do (a 'blanket credit', I suspect), clearly all recorded at the same session, although I can't trace the original release. The following year's self-explanatory Melody Freaks: A Collection of Demos & Outtakes, 1990-1996 includes early versions of over half of Teenage Symphonies' tracks, alongside minor variations on other familiar material. I'm all for letting your fans hear everything, but I sometimes wonder just how much use albums like this really are. Are you actually hearing anything new? Or even newish? I suppose you can look at it as a compilation of some of their better album tracks, but it'll never match A Single Odessey for sheer class. Denneen on Chamby again, of course, with strings on opener Star Trip and flutes and strings on Time Wraps Around You, as on the originals, although whatever was on the album version of Weird Summer is missing here. Overall, Teenage Symphonies is a very good effort from a band previously unknown to me; I suppose being produced by Mitch Easter gives the game away, but even the masters sometimes get it wrong. Not that much tape-replay, but worth hearing for lovers of great tunes. Of the two compilations, Teenage Symphonies is noticeably better than Melody Freaks, not to mention a better bet on the Chamby front, although the latter's still worth hearing. 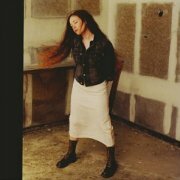 San Franciscan Noe Venable's fourth album, 2002's Boots, is a distinctly superior singer-songwriter effort, its combination of sparse arrangements and Venable's pure voice making a welcome change from most of her competitors. Personal favourites include Tinkerbell, Look, Luck and the haunting Wild Blue & Yonder, although, if I have a criticism, the album's too long; almost an hour of music this dark can be hard going. Rob Burger plays (I presume) one of his two Chamberlins (models unknown), with strings on the opening title track, My Insomnia (particularly effectively) and stabby flutes and strings on Happiness, making two out of three decent Chamby tracks. 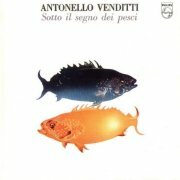 Antonello Venditti is a mainstream Italian singer-songwriter, which should tell you everything you need to know about his music; vaguely folk-based pop/rock with lyrics that are probably important, but meaningless to non-Italian speakers. However, Venditti's Italian, so why should he pander to foreign audiences who probably aren't going to care one way or the other anyway? 1978's Sotto il Segno dei Pesci was his eighth album and is an entirely pointless listen for non-Italians (and many who are), frankly, consisting largely of cheery pop/rock with no obviously distinguishing features, which pretty much sums this up for an international audience. Goblin's Claudio Simonetti plays Mellotron, with choirs on Francesco and Bomba O Non Bomba and strings on Chen Il Cinese, the choirs being so heavily reverbed that they're barely recognisable, which was probably the idea. Believe me, you don't need to hear this album. Johnny Ventura y Su Combo (Dominican Republic) see: Samples etc. 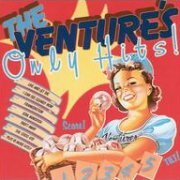 The Ventures don't mean much past Walk Don't Run and Wipeout in the UK, but have now had a (count 'em) over fifty-year career, chiefly in the States and Japan, where they're apparently still huge. The chief reason for their general lack of UK success could be that they were seen as merely a Transatlantic version of The Shadows, operating in a similarly all-instrumental arena, although the Shads (at least early on) tended to write their own material, while The Ventures started playing covers straight away. By the early '70s, though, there was little to choose between the two, both playing slightly anodyne covers instrumentally, which is all well and good, but take the vocals out of most popular songs, and what's left? A vocal melody played on another instrument, with various musical devices used to cover for the lack of any lyrical input, that's what. I've seen 1973's double Only Hits described as a greatest hits album, although minimal research uncovers the information that the 'hits' part of its title refers to the fact that the tracks were hits for other artists, here reimagined instrumentally, to greater or lesser effect. One of the album's most successful efforts is opener Also Sprach Zarathustra, then still in the popular imagination after 2001: A Space Odyssey, tackled here in a jazz/surf style, which really has to be heard to be believed. Most of the versions here are pretty forgettable, though, many of them bland takes on bland material, with little done to pep them up. I've no idea who plays the Mellotron, or indeed, any of the other keyboards here, as the band were effectively a twin-guitar foursome, but whoever it is sticks fake-orchestral strings on My Love, background ones on Last Tango In Paris and far more upfront ones on The Night The Lights Went Out In Georgia. There is a slightly expanded version of this album on CD, adding four tracks, but I've no idea whether or not there's any more Mellotron on them. I've also no idea whether or not The Ventures used a Mellotron again before 1998, but their album from that year, New Depths (apparently a follow-up to the previous year's Wild Again, on the same label) features David Carr on the machine. The album follows the basic pattern laid down by the band decades before, although its sound is much updated from their early '70s one, thankfully, better tracks including their updated take on Peter Gunn and the rare vocal track Kanari Kiteru Koi, featuring Japanese female troupe The Rice Girls (ho ho). The album's no classic, but it's far more listenable than Only Hits, with fewer obvious middle-of-the-road covers and far more than a nod to their surf roots. Carr plays 'Tron flutes on Cry For A Shadow, although that would appear to be your lot. So; do you... no. You don't. If you're a Ventures fan, chances are you already own at least one of these albums, but if you haven't heard anything they've done since 1960, you're not going to find either of them very edifying, so without a lot of Mellotron work, I really wouldn't bother. Mario Venuti (Italy) see: Samples etc. Billy Vera & Evie Sands (US) see: Samples etc. Verbal Delirium (Greece) see: Samples etc. The Verbs (US) see: Samples etc. 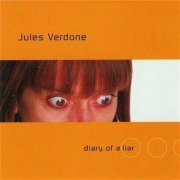 The Baltimore-born and Boston-based Jules Verdone is one of those American 'alternative' artists that the '90s coughed up in unfeasible numbers, although biographical information on her seems to be in short supply. 1998's Diary of a Liar is not only her debut, but seemingly her only release to date, which is a shame, as it's not a bad album of its type, tracks of the quality of Fall Down In Three or the slightly off-kilter Everything's Your Fault pointing to a potential future as, at least, a Lilith Fair regular with respectable record sales. Jon Lupfer plays Chamberlin, with a skronky but faint flute part on Little, although that would appear to be it. This album only just misses out on an extra half star, to be honest, but lines have to be drawn somewhere... So; good at what it does, but forget it for the Chamby. Vermilion Sands (Japan) see: Samples etc. The band have boasted of 'buying a Mellotron from Yes', which seems slightly unlikely, as I've always been under the impression that any machines used by that band actually belonged to Rick Wakeman personally, not to mention that the chances of Yes still owning anything Mellotronic in the early '90s seem low to nonexistent. Anyway, Alain de Lille adds occasional strings to all highlighted tracks above, although his most full-on use is a major string part in the closing minute of the lengthy Dégénérescence Obsessionnelle. All choir sounds, incidentally, are quite clearly generic samples from the era. So; a triumph of will in a time of famine, plague, death and, er, the other one. This is the kind of album for which trad prog fans were crying out in the '90s, unaware, like myself, that it even existed. Highly recommended to anyone who ever liked Ange, but wanted the theatricality toned down a little, although not worth it for Mellotron obsessives. 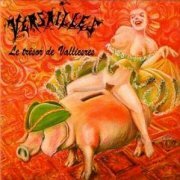 Incidentally, after another of their influences, Mona Lisa's vocalist, Dominique le Guennec, joined Versailles for their fourth and last album, the band effectively became the new Mona Lisa, using Mellotron samples on 1998's De l'Ombre à la Lumière. 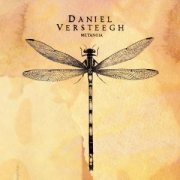 I believe 2013's Metanoia is Dutch singer-songwriter Daniel Versteegh's first full album, a fairly typical current effort, mostly rather too insipid to appeal to anyone demanding a little substance in their music, I'm sorry to say. Exceptions? Opener Longest Winter, while stylistically similar to most of the other tracks, seems to be more focussed, while the solo piano of Untitled works quite nicely within the context of the album as a whole. Ruud Peeters plays his own M400 on the album (thanks for the info, Ruud), with background strings on Longest Winter, less of the same on Carry Our Troubles To Sea (unless they're real), more upfront ones on I'm On Your Side and chordal flutes and strings on You'll Rise From These Ashes. Really not that exciting, then, although at least it's slightly enlivened by some real Mellotron. Versus X (Germany) see: Samples etc. 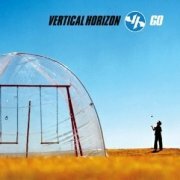 Vertical Horizon are one of those utterly faceless rock/pop/indie-style bands who seem to do well in America. Maybe here, too; I'm totally out of touch with what 'young people' listen to, and if it's anything like Vertical Horizon, I'm keen to keep it that way. Most of their fifth album, 2003's Go, is that awful kind of 'confessional' tosh that so many bands feel the need to foist on us these days. No, we don't care. Shut up. The occasional track picks itself up and dusts itself down, surprisingly, principally the slightly Rush-ish Sunshine, but please don't take that as some kind of recommendation (just in case). Patrick Warren does his usual Chamberlin thing on a few tracks, with background strings on I'm Still Here, Forever and closer Underwater, none to any great effect, sadly. This is pretty godawful, I have to say, with little Chamberlin use. Avoid. Incidentally and bizarrely, the band's 2009 release, Burning the Days (forthcoming at the time of writing) features no less a drumming deity than Rush's Neil Peart on three tracks, one of which he wrote the lyrics for. Why, Neil? Why? Maybe they've got better in the last six years. Let's hope so. Vertigo Go (Spain) see: Samples etc. Veruca Salt (US) see: Samples etc. 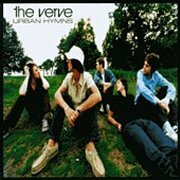 In Urban Hymns, The Verve (they had to add the 'The' after threats of legal action from the legendary US record company) produced a late-period mainstay of the Britpop movement, with the huge success of both Bitter Sweet Symphony and The Drugs Don't Work. Amusingly, their initial failure to credit the sample running through Bitter Sweet Symphony, from a mid-'60s album of orchestral Rolling Stones songs, led to a court case, resolved by the band allegedly paying out not only 100% of the song's royalties to Jagger/Richards, but also another sum to another interested party, ending up with them making a minus figure on the song. Still, it helped them sell a great many albums, so let's not shed too many tears for them. The Rolling People is also heavily plagiaristic, this time of The Four Horsemen from Aphrodites Child's seminal 666 (thanks, Matt); not very original, these chaps, are they? The album itself is pretty much as you'd expect, with the usual whiny indie vocals from the irritating Richard Ashcroft and weak drumming, but it sold loads, so what do I know? I presume guitar/keyboards man Simon Tong played the Mellotron on the relevant tracks; Space And Time and This Time have some wavery strings, but that would appear to be it. So; background 'Tron use, boring songs and bad attitude. Avoid. Vib Gyor (UK) see: Samples etc. 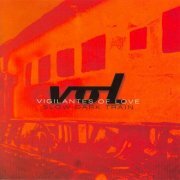 Bill Mallonee's Vigilantes of Love (named in honour of New Order's Love Vigilantes, apparently) sat at the 'alt.' end of roots-rock on their rather overlong sixth (?) album, 1997's Slow Dark Train, probably at its best on its rockier tracks, notably the opening salvo of the propulsive Locust Years, Tokyo Rose and Black Crow. Given Mallonee's religious proclivities, it's no great surprise that tape-replay-player-to-the-Christian-community Phil Madeira turns up here, playing what sounds like uncredited Chamberlin, with a solo strings intro on Only A Scratch, strings and flutes on Hand On Every Word and strings on closer Judas Skin. 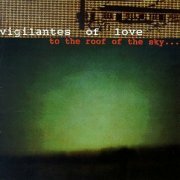 The following year's To the Roof of the Sky... is, pretty much, more of the same, possibly with more of an Americana edge, at its best on punky opener But Not For Long, Perishable Goods and (Please) Leave Me the Bones. And I thought its predecessor was overlong? This is a clear twenty minutes too much VoL, frankly. Mallonee plays Mellotron flutes on This Time Isn't One Of Them himself, sounding genuine.